Microplastics are less than 5mm in size and account for over 90% of the world’s marine plastics. But they are often missed in beach clean ups and many people do not see them. 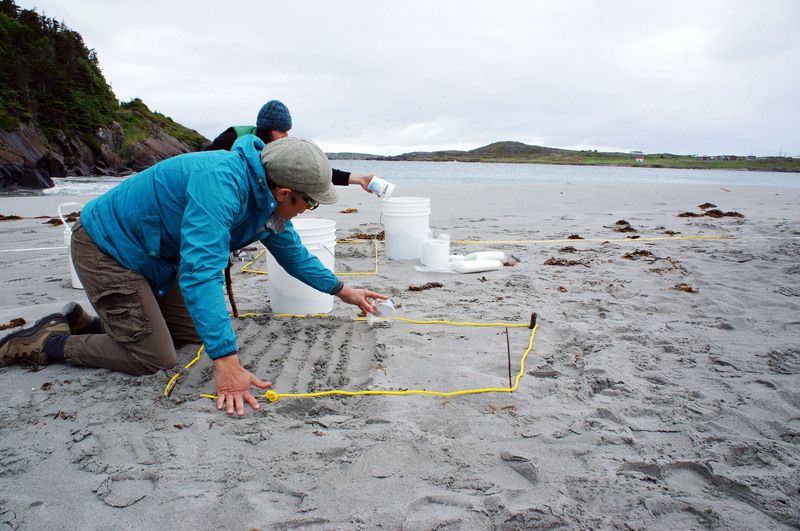 This protocol is designed to count microplastics on sandy beaches. Soon we will also have a protocol for rocky beaches. 1 x Hand-held GPS unit or reliable GPS phone app. 3 x ropes that are exactly 2 m long doubled up and tied. This is your quadrat. When laid on the ground and stretched into a square, the rope will make a square of 1 m on each side. If you have more than 2-3 people, have 3 ropes per 2-3 people. 2 x buckets. Ideally one 5 gallon bucket. The second can be smaller. If you have a large group, bring 2 buckets per 2-3 people. 1 x scoop (any plastic or metal cup with a thin lip will work). This is to scoop sand into buckets. Bring 1 scoop per 2-3 people. 3 x sieves. One should be 5mm, one should be 1mm, and one should be .335 mm. These are the standard sizes used in science on marine plastics. If you cannot afford these sieves, you can make your own using fine mesh or nylon pantyhose. 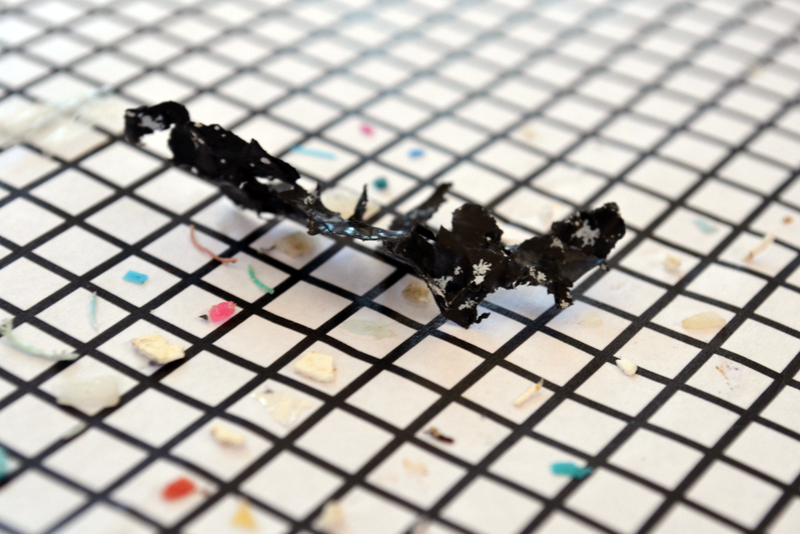 The minimum size should be .335 mm, but 1mm is also a useful measure for microplastics. 12 x sample bags or jars. These should be able to contain 800ml or more, though it depends on how much plastic is on your beach. 1 x permanent marker for writing on specimen bags. 1 marker per 2-3 people. 1 x 100m measuring tape. Surveyor’s wheels or tapes work best. Garbage bags for disposing of any extra plastics you find on the beach. Paper or booklet to record information. (optional) 12 x tent pegs. These are to stake the quadrats. You can also use sticks found at the site, but not all beaches have sticks. 1. Before arriving at the site, check local tide tables and plan to arrive at your site during low tide. Choose 4 numbers between 1 and 100 randomly. We use a random number generator app. 2. At the beach, measure a 100m section of your beach. Stake the tape and put a stake at each of the 4 random numbers you choose. These will be the locations of your 4 transects. If your beach is shorter, document that in your booklet or on paper and choose 4 random numbers within your beach’s range. In your booklet, record GPS coordinates in decimal degrees at the beginning and end of your shoreline site, or at the site’s four corners if the width of the beach is > 6 m. Make any notes about the beach, like the type of soil or sand, weather condition, whether there are people around, whether there are rivers or streams nearby, or if you know it’s been cleaned recently. 3. 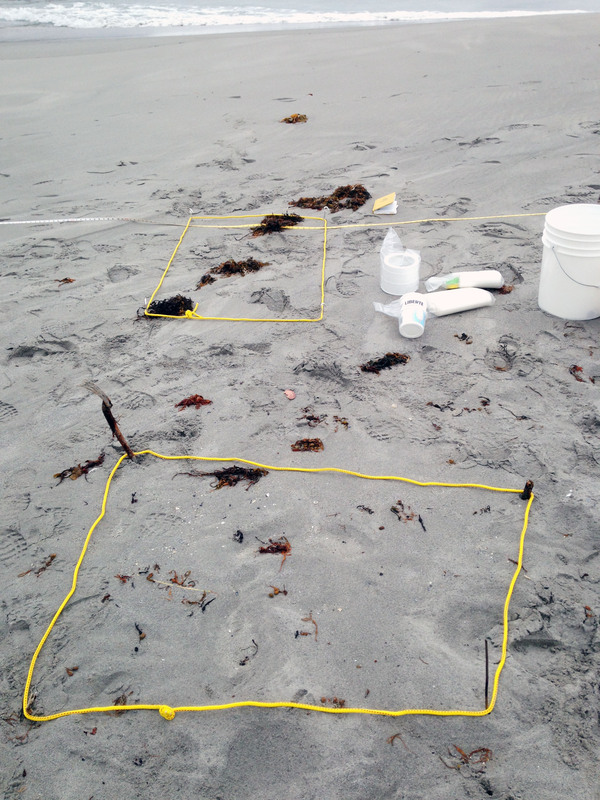 Set up transects at the last high tide line, the mid beach, and the back beach. Stretch the rope quadrats out and make then square with sticks or tent pegs. It doesn’t matter if they aren’t perfectly square, since the area will be the same. The last high tide line is usually the wrack line where there is a line of seaweed and fresh debris. The midbeach is above this. The back beach is the edge of the beach that might contain a treeline, grasses, or larger rocks. The first set of three is called Transect 1 or T1. Label three sample bags or jars “T1 high tide,” “T1 midbeach” and “T1 back beach.” The next one will be Transect 2, or T2. If you have more than 2-3 people, each group can set up a transect. Two transects: one at the last high tide line and one at the midbeach. 4. Scoop the top 5cm of sand into the 5 gallon bucket. Do it as evenly and consistently as possible. A 1m square quadrat at 5cm scoops should fill the 5 gallon bucket half way. Scoop the top 5cm of sand into the tall bucket. 5. 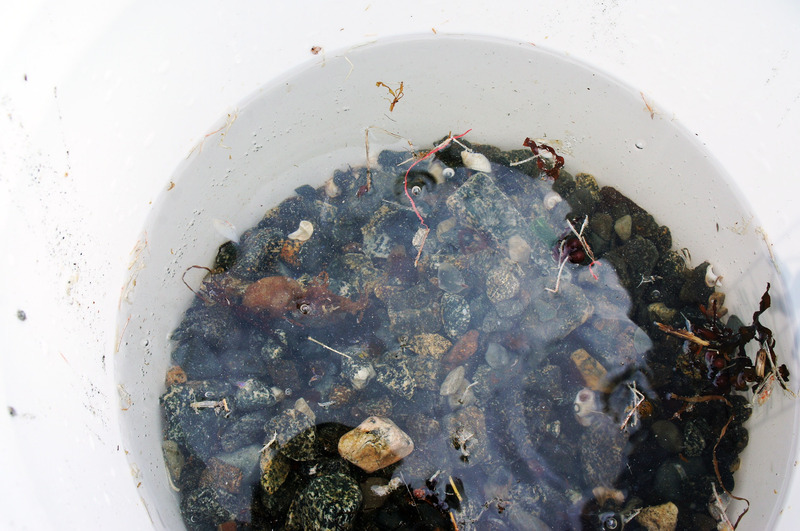 Once the bucket is half full of sand, add water to it using the second, smaller bucket. Be sure to get water that doesn’t have stuff floating in it. Add the water and stir the sand with your hand or a stick to make everything float to the top. When you stir the bucket, plastics will float to the top. In this bucket a red thread has emerged! 6. Pour the water through the nested sieves. The biggest sieve should be on top. 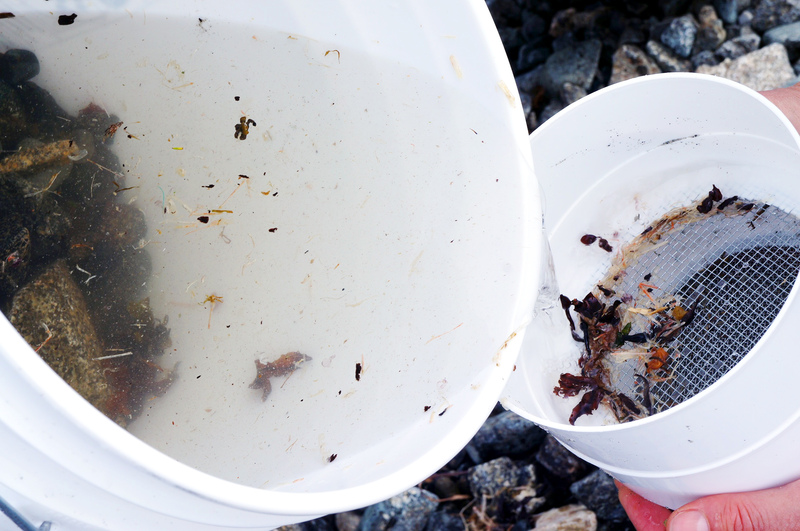 It will catch the seaweed and larger plastics, while the smaller sieves on the bottom will catch smaller items. Repeat this three times per quadrat: fill with water, stir, sieve. The floating items will get caught in sieves. 7. Pick through the top two sieves for any plastics. 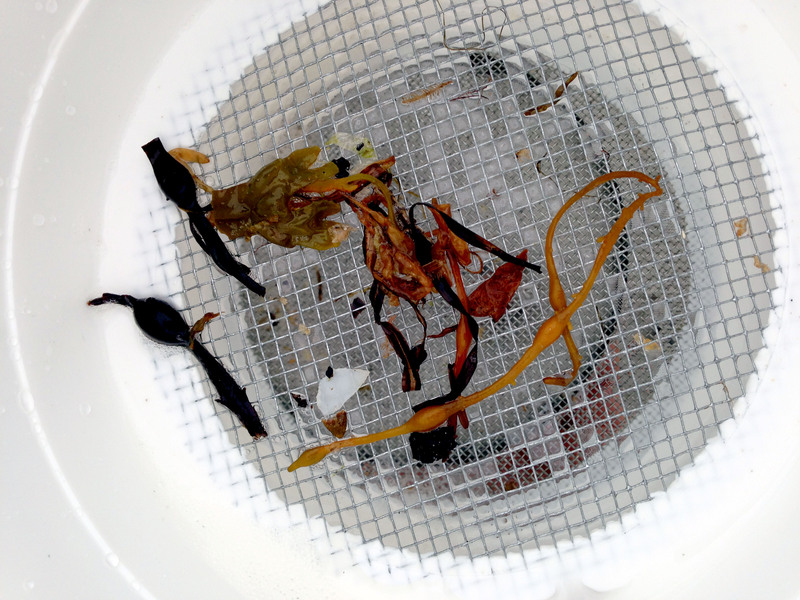 Be sure to examine seaweed very carefully, since plastic gets caught and sticks to seaweed. Throw away any large organic items that aren’t plastic once you’ve examined them, and put all plastics in the appropriate sample bag. Make sure the bag is labeled. The smallest 335 mm plastics can be hard to evaluate with your eyes, so you can put them all in the bag if you are going to use a microscope later. You should be able to identify all plastics that are 1mm or larger with your eyes. 8. Repeat for each quadrat in each transect. 9. When you are back home, in class, or at a lab, dry your samples. Be sure that none blow away– plastics are very light. When they’re dry, you can use graph paper to easily see which are 1mm or larger because graph paper has 1mm squares. Count how many of each size you have in each sample. The cateogorize them according to whether they are industrial (nurdles) or user plastics, fragments, threads, or film. You can use this worksheet to record them. Great information. Any suggestions for DIY mesh? Might find mesh at hardware shop – metal insect screen perhaps? 0.335 sounds tricky. I could drill 5 and 1 mm holes in aluminum? For professional science, peer-reviewed research, 0.335 is the standard. But if you’re looking for local knowledge that doesn’t have to be published or compared to scientific studies, smaller mesh would do. We use window screening sometimes, but we tend to prefer pantyhose. It has smaller holes and is easier to work with–we’ve found metal screening to be vicious. We tend to use pink or other brightly coloured tights so we can easily evaluate if some of our plastics are from the nylon tights.